Ok, look I get it. Cancer is depressing. And no one really wants to talk about cancer (whether it’s lung cancer or pediatric cancer or colon cancer). Everyone likes happy pictures and happy events and fun and laughter; not real life situations. Yeah, sure, folks will ‘like’ pictures of kids getting their wishes fulfilled and they’ll ask the obligatory ‘how are you feeling’ questions if you were just diagnosed. But honestly, all of that is on the surface. Most people think that if it’s not happening to them or their families, eh, no big deal. I know I’m probably over-simplifying this and I KNOW that there are some people who are really sympathetic. 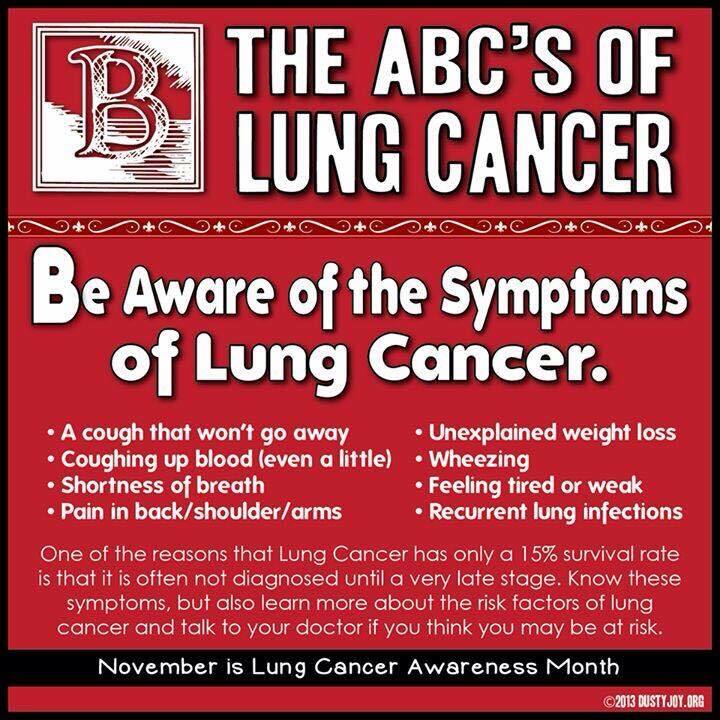 But how many of you are really taking the time to learn about lung cancer (or any other cancer) and understand the symptoms? You do know that you don’t have to be a smoker to get lung cancer right?? Listen, all I want you all to do is remember that if you need information or if you want to understand more about lung cancer, I’m here. All I’m doing is sharing the information that I wish I had known when mom was first diagnosed. 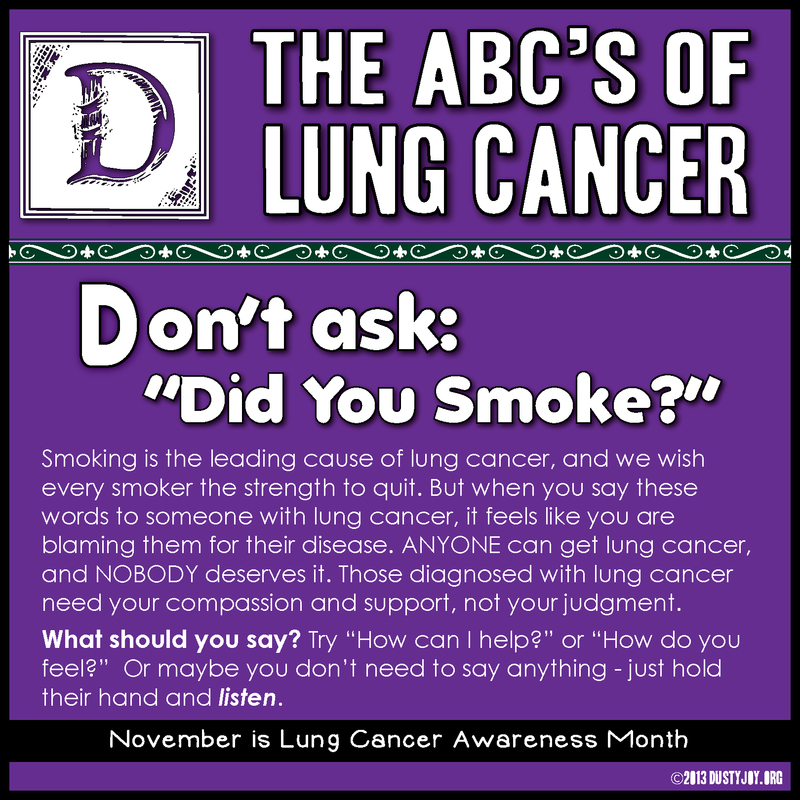 Wooooooo, Lord knows I could have used some advice from others who had also gone through the diagnosis of lung cancer. I’m telling you that you will view life totally different AFTER you see it from the eyes of a cancer patient. It changes you. So I’m asking you now, take five minutes to learn just one fact about lung cancer. I’m not asking you to give money right now (even though that helps). Just simply read and share an article about a cancer patient or retweet some information about new advances in cancer research. It doesn’t cost you anything. You never know who you might help in the process. And we’re all here to help someone else right? Take some time to show that you care. *Special thanks to the Dusty Joy Foundation for these awesome graphics. Let’s make something very clear…I already voted and I was never planning on NOT voting. However, I was very disturbed to find out that some folks are DEBATING on whether or not to vote. WHY? I know it’s ‘just the midterm’ elections but the outcome still matters right? Doesn’t matter whether it’s a local or national election. Those who choose not to vote are the same folks who get upset that the roads have too many potholes and no one is trying to fix them. I don’t know about the rest of you, but I grew up in a family who made voting a rite of passage. I can remember when my family planned our day around voting and nothing else mattered that day until my parents voted. 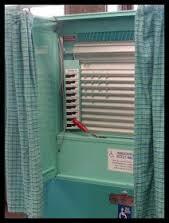 I couldn’t wait until I was old enough to get behind that curtain and pull the lever. There was an air of mystery surrounding such an adult-related activity. What was behind that curtain where you could only see someone’s legs? What were they doing and what made folks stand in line just to get in a booth and pull levers? And, what happened after you were finished? Why did we go home and watch the ‘election returns’? I was so excited to register to vote and cast my ballot when I turned 18. My dad taught American History and Civics, so um, yeah, I was raised to vote! My mom was in college in the mid 60’s when there were sit-ins and marches and general unrest. Maybe those who don’t vote have never heard the stories about racial tension and how voting was the ONLY way to get equal rights for EVERYONE, not just minorities. Nowadays folks are SO apathetic. Why is that? What happened that made folks so blah? To me it’s bigger than whether or not your candidate won, but about being allowed to actually vote for your choice of candidate. A democratic society is a free society. And it really should be bigger than the party with which you associate. Maybe those who don’t vote truly don’t understand that the people we choose to vote for represent us on issues that truly matter. I don’t know about ya’ll, but I want someone who will make the right decision when it comes to my health, my livelihood and my future. I’m a taxpayer and I deserve to have a say in where my money goes right? Take some time to check out the National Institutes of Health (NIH) website (part of the U.S. Department of Health and Human Services) and you’ll find hundreds of medical research and funding opportunities relating to health issues and diseases such as dementia, drug abuse, lung cancer, Parkinson’s disease and Alzheimer’s. In short, Congress has a budget process that determines how much money is “given” to the NIH and the members of Congress pass legislation that gives the federal government authority over how to spend our tax dollars. Guess who puts the members of Congress in office? I’m saying all of this say that your vote can change who makes decisions about issues that affect you, your family members and your friends. I know that in theory, this process is much more complicated than I am making it sound. But that’s because historically, we’ve made it more complicated than it has to be. 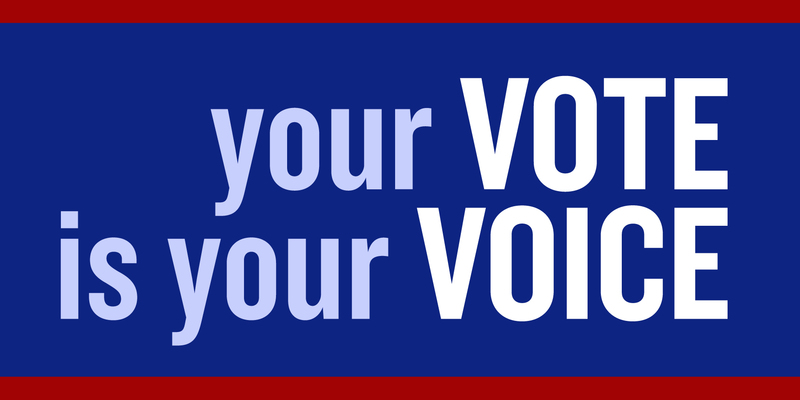 Short version: If you want to find a cure for any type of cancer or genetic diseases or brain disorders or cystic fibrosis or mental health or suicide or violence against women, cast your ballot and then hold your representative accountable. Simply put, voting says you care.